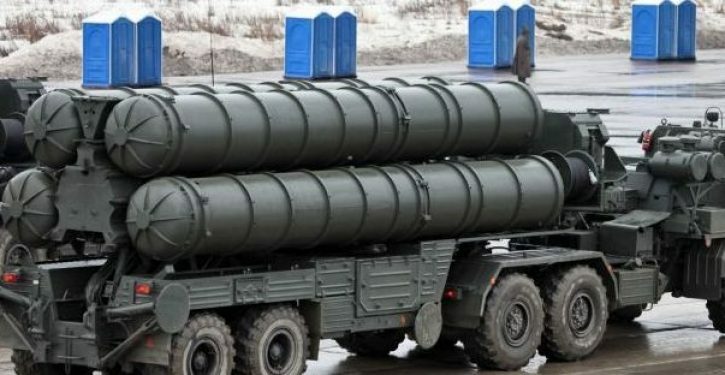 Under the trade agreement, India will buy the cutting-edge S-400 missile systems from Russia to boost its military prowess. The “next-generation” units can destroy aerial targets from up to 248 miles (400km) away, according to Russian state media. Indian officials want the systems to counter the ballistic missiles and stealth aircraft being developed by China. Defence chiefs in Moscow hope to confirm the deal in October, when Russia and India are due to hold a bilateral summit.